I hope you've followed me over to Outer Banks Sunsets, my new blog. 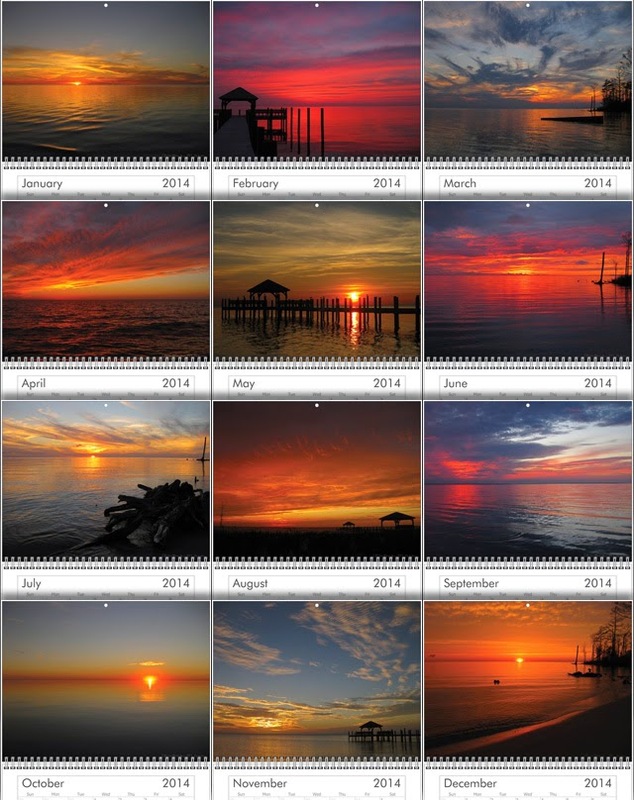 I've been busy capturing daily sunset photographs on the Outer Banks of North Carolina as my 2013 project. I'm so excited to be offering a limited number of 2014 Wall Calendars for sale! Purchasing information can be found here. So pretty!! I loved your Christmas card this year!! Hugs!